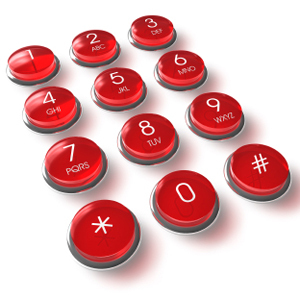 Competition and Data Capture Services can be ran on IVR and SMS and on any of our telephone numbers. A competition or data capture service work in the same way. This service can be used on any of our number ranges and allows you to build up a simple or advanced system of data or voice captures which then can be sent instantly to your email address. Our data capture system can be setup to take responses from the telephone keypad (recording digit(s) pressed), voice recordings or a combination of both. Greet caller by playing audio introduction file to explain to the caller that you would like to record their views on the service they have received. Next you may want to ask the caller to rate their customer experience from 1 to 10 and ask them to press a number on their phone keypad to record their score. Once again you could determine whether the customer would like to be contacted for further feedback and prompt them to press 1 for yes or 2 for no. Finally you can ask for further comments, where the users comments are recorded to a file. On call completion all data from the users feedback is then automatically collated by the system and emailed over to you, including all the answers to the telephone keypad questions and a combined mp3 file that contains all the audio answers to the questions that the user answered. For testing a new product/idea. Using the advanced functionality of the Numbers Plus system you have full control over your data capture system. You can operate the system during set hours of the day or days of the week, and for competitions you can automatically close the line after a set date. Be notified callers and new entries instantly via email and sms/text. Competition and Data Capture can be setup on any of numbers, for more information or to get a quote please click here to contact us. Capture data from caller for further marketing. Create new revenue streams from phone competitions. Available on all numbers from geographic to premium rate. Premium Tariffs available from 10p to £1.53 per minute. Build simple competition entry lines to creative telephone games.